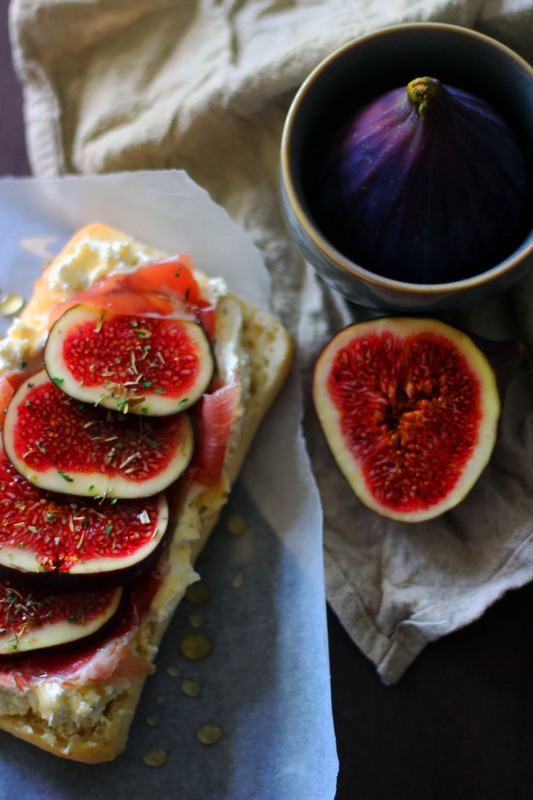 Fig and Prosciutto are a match made in heaven. The sweet flesh of the fruit with the salty ham and sharp cheese are balanced by a drizzle of honey making this one tasty lunch! Fig season is well and truly here – and it is my favourite time of year! As soon as figs start appearing in supermarkets and in the road markets of London I know its time to start getting into hibernation mode by socking up on lots of lovely seasonal produce, filling my freezer with pies and planning for Christmas. OK, so maybe we aren’t quite in Christmas planning mode yet but as long as figs are in the shops I’m going to make the most of them. I used to commute into Holborn everyday and there’s a fruit and veg seller just outside the tube station which used to sell me the freshest figs for rock bottom prices. Unfortunately now I’m stuck with the local supermarket, but I won’t complain. Figs are one of my favourite fruits so I’ll grab them while I can! Figs are an incredibly sweet fruit, high in natural sugars, so you might think they make fantastic desserts and sweet dishes. Whilst that is true, I love to contrast their natural sweetness with robust salty ham and strong garlicky cheese. The honey is probably a little OTT but the sticky texture makes all the difference. As well as tasting delicious, you can’t deny that the plump, squat shape of the fig is very appealing. And that deep luscious purple with flecks of green is a work of art. Well done mother nature, you did good! I always think that you can tell when something is going to taste amazing just by it’s colour. Heritage tomatoes, beetroot, and carrots for example aren’t just popular because they come in all sorts of vivid colours but because they taste out of this world! Pick the deepest figs which almost look over-saturated and you’re guaranteed to get the tastiest pick of the bunch. What’s your favourite way to enjoy figs when they are in season? Grilled Fig and Mozzarella Salad with Cured Ham from me! Who knew figs were so versatile! 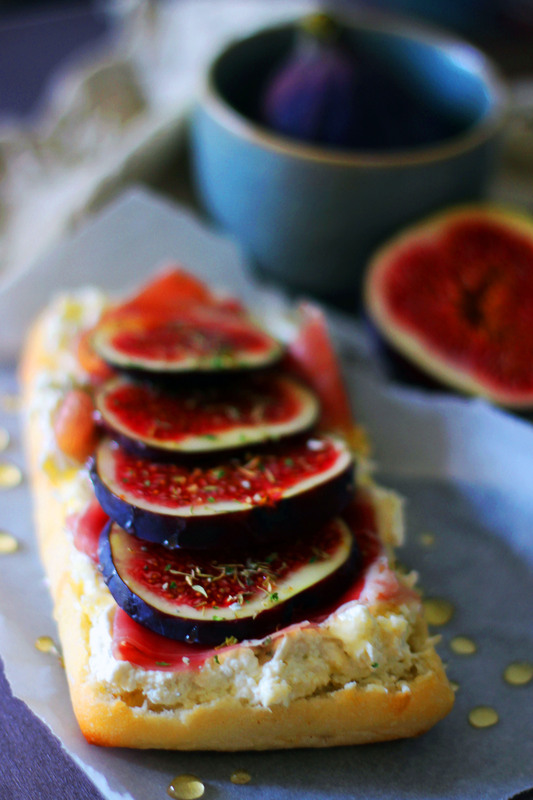 Oooh yummy, love figs so much but never tried them in a sandwich! I love how simple and how delicious this is. This is lovely Emma! I adore figs, and learnt how Prosciutto was made last week. Oh wow! Any chance that home made prosciutto is on the cards? I imagine its a labour of love! My pleasure Camilla! I love raw figs. Could happily pluck them off the tree and dive in. You can always grill them slightly before serving for a warm sarnie! Thanks Choclette! The OH just had extra cheese on his ;-)any excuse for more cheese! I am new to your site, but. I love your great ideas, photography, and this sandwich looks so good! 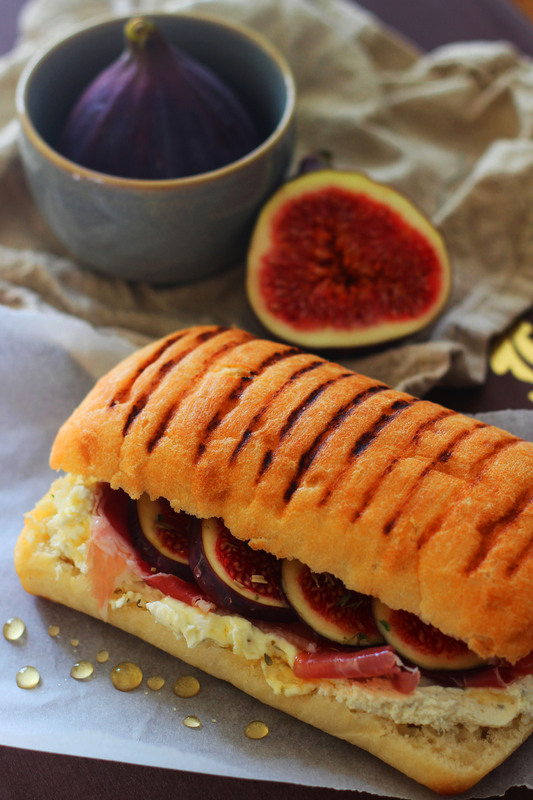 My kids don’t like figs (I do) but they like ciabatta, cheese, honey and prosciutto. I think I can tempt them and sell them on figs with your recipe!